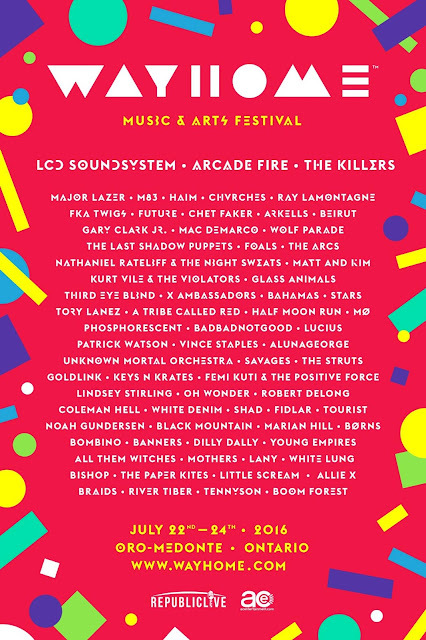 one in ten words: Lots to like in this year's Wayhome line-up! Lots to like in this year's Wayhome line-up! 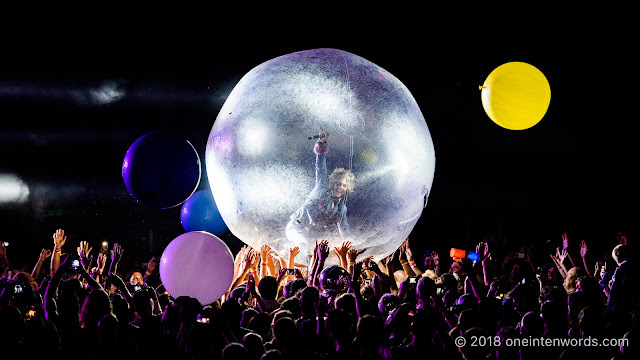 After a couple of mind-bending 360-degree YouTube videos, the actual line-up for this summer's Wayhome Music & Arts Festival has been unveiled. The festival takes place in Oro-Medonte Ontario on July 22, 23 and 24 and tickets go on sale February 16. Last year's fest got overwhelmingly positive reviews. I hope to be there this year to capture and share the bands and the experience. As the headline reads, there's lots to like in this year's line-up. Here are a bunch of the bands that I'll be looking the most forward to seeing, starting from the top. As usual, I expect to make some great new discoveries further down the list. I've helpfully linked to my pics of any of the bands I've shot before. LCD Soundsystem "Daft Punk Is Playing At My House"
The Killers "All These Things That I've Done"
Chvrches "The Mother We Share"
Gary Clark Jr. "Bright Lights"
Mac Demarco "My Kind of Woman"
The Arcs "Outta My Mind"
Nathaniel Rateliff and the Night Sweats "S.O.B." Third Eye Blind "Semi-Charmed Life"
Stars, Stars, Stars "No One Is Lost" and "Your Ex-Lover Is Dead"